At Johnson, Murrell & Associates, we understand your need for reliable advice and effective representation in an efficient and cost-conscious manner. Our attorneys will clearly explain the issues and all of your options, and help you choose the best course of action. 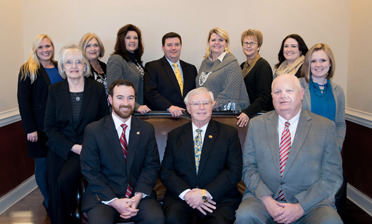 For more than forty years, the lawyers of Johnson, Murrell & Associates have helped our clients successfully resolve complex legal matters, ranging from drafting wills to handling probate court matters and business contract disputes. Our familiarity with the region and our commitment to outstanding representation and service has helped us earn our reputation as one of the region's most respected law firms. Whether you are new to the area or have lived here all your life, an experienced Johnson, Murrell & Associates attorney can help you resolve your legal problem or maximize your financial opportunity. The beautiful landscape of the Smoky Mountains in East Tennessee attracts millions of visitors every year. Many of these visitors come and stay to enjoy the vibrant economy and quality of life. Every year thousands of people buy homes to retire to Sevier County or the surrounding region or purchase commercial real estate to start a new business. Individuals, families, and businesses need the help of experienced real estate attorneys familiar with the region. Johnson, Murrell and Associates can help you with all your commercial and residential property issues including development and title closings.